All servicing carried out is 'warranty safe' meaning it will not invalidate your warranty even on new cars, saving you up to 50% on main dealer prices. 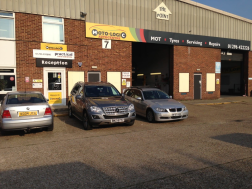 We would however recommend that the very first servicing is carried out by the dealership. Very happy with work carried out - the problem has been dealt with. Overall we like Click Mechanic. Booked ClickMechanic as my husband used them in his vehicle. Must say, the whole process is so very easy, was kept informed and wasn’t once put out my way. My vehicle was collect at the time advised and bought back before anticipated. What’s not to like? A really thorough vehicle examination - whilst i didn't end up buying the vehicle, it "appeared" to be what I wanted. However, the inspection revealed more - even the owner was surprised. Very grateful to everyone at ClickMechsnic and would recommend and use again.